I saw a picture of this Italian masterpiece in an old Gourmet magazine and had to conquer it. It's a great weekend project actually - when it's raining out or you just want to stay in. You will be rewarded! Every recipe I found used meat sauce so I vegetarianized it by skipping the meat in favor of a robust veggie-cheese mixture of eggplant, mushrooms, beet greens and smoked mozzarella. 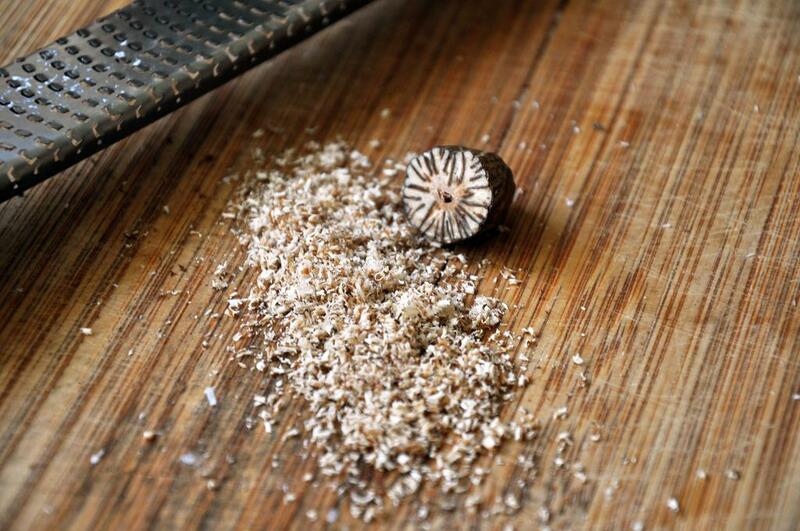 Boil a large pot of water over medium heat and add 1 Tbsp salt. Add rigatoni and undercook - about 7 minutes total. Drain, but do not rinse, and set aside. 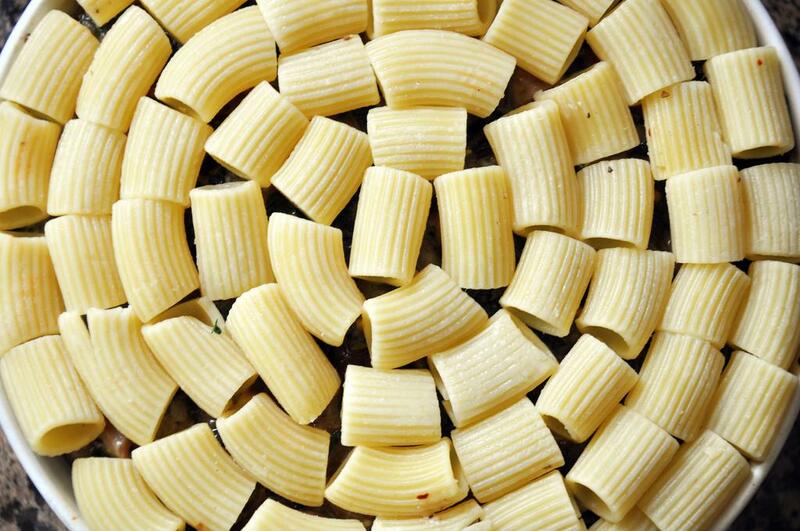 Periodically loosen pasta with your fingers so it doesn't stick together while you are preparing the rest of the timballo. In a large skillet, heat EVOO over medium heat. 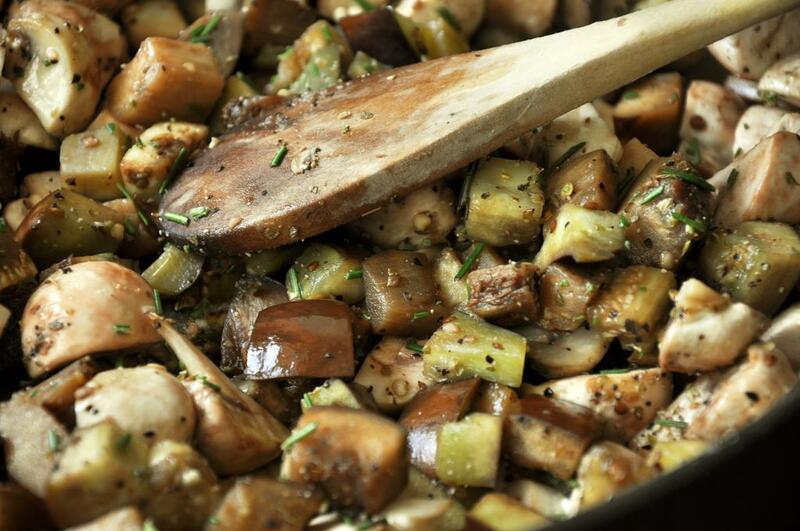 Add mushrooms, eggplant, pepper, rosemary, and remaining 1 tsp salt. 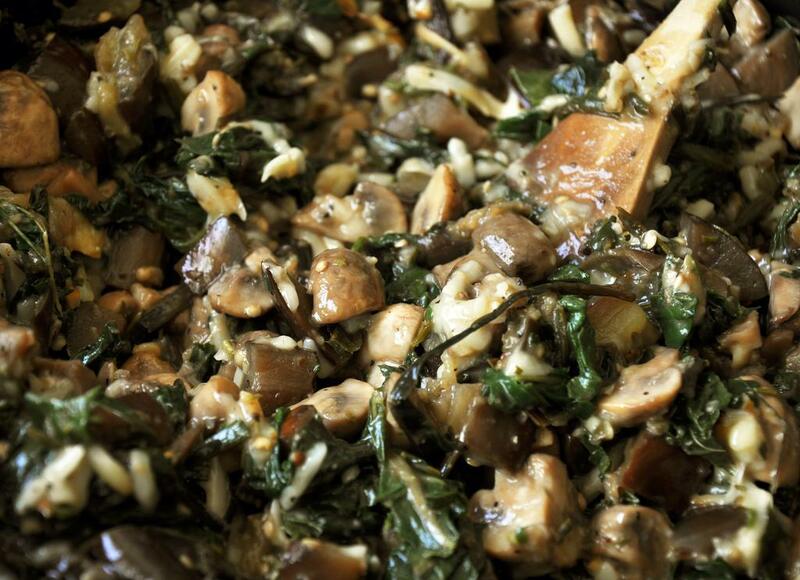 Sauté 10-15 minutes until mushrooms give off their liquid and eggplant is soft. 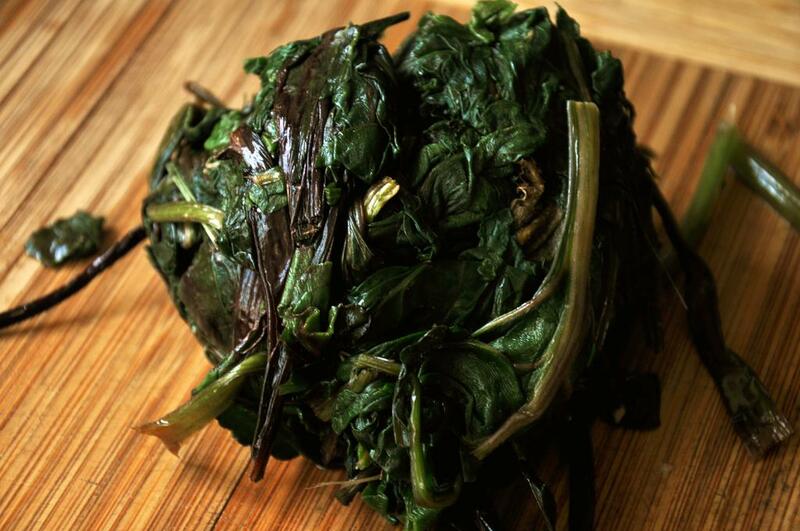 Add garlic and greens and cook 5-10 minutes longer, ensuring very little liquid is left. Remove from heat and let cool slightly. In a large bowl, whisk together eggs, grated cheeses and nutmeg. When vegetable mixture has cooled a bit, add egg-cheese mixture and stir to combine. 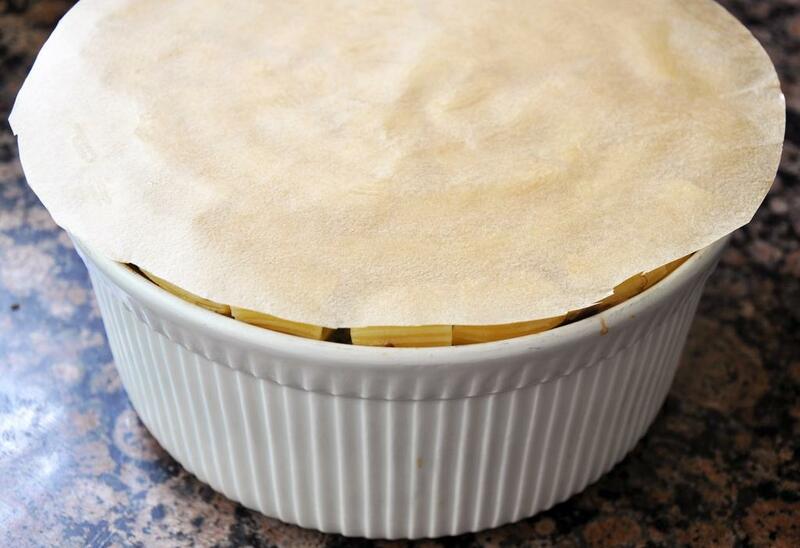 To assemble the timballo, cut out a circular piece of parchment paper to fit in the bottom of a 2-3 QT soufflé dish. Spray the parchment and dish with cooking spray. 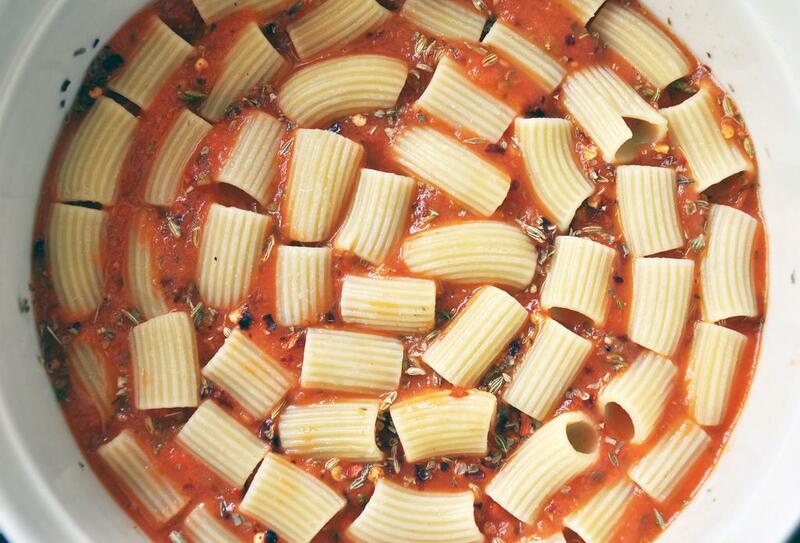 Lay rigatoni in a neat pattern in the bottom, then top with tomato sauce, oregano, chili flakes and fennel seeds. 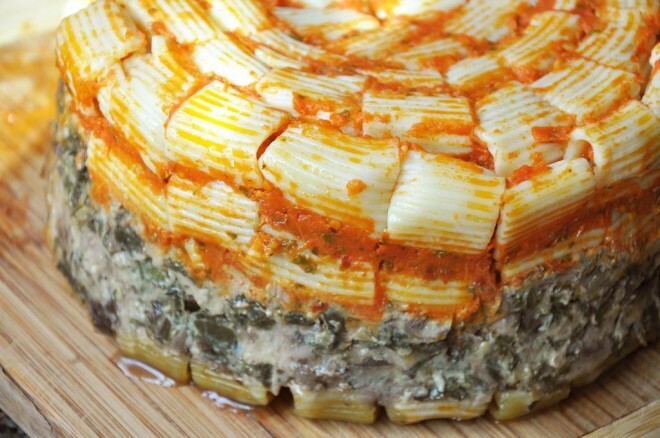 Add another layer of pasta, then the vegetable-cheese mixture. Lastly, top with rigatoni (you may have some left over). Cover the top with another circular piece of parchment paper sprayed with cooking spray (cooking spray side down) and then foil. 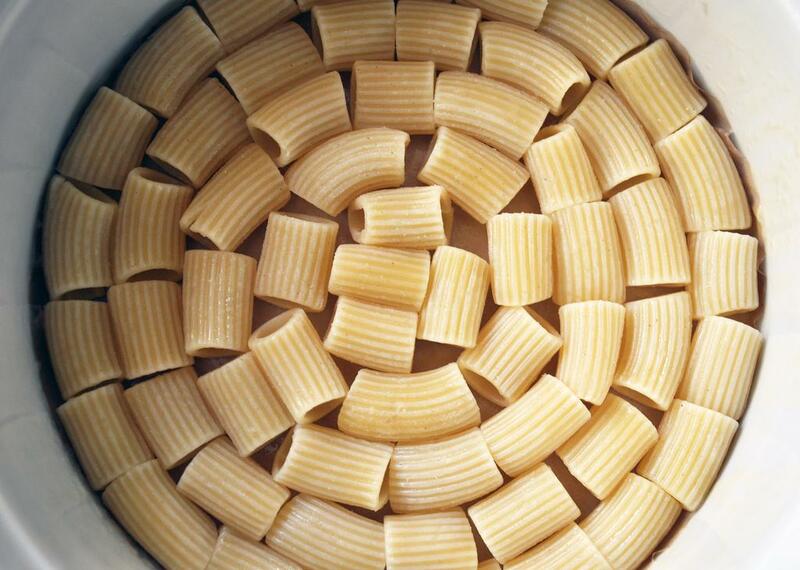 Place the timballo in a pan filled with nearly boiling water about half up the soufflé dish.